It's been 83 years since Mr. Nat Sherman opened the doors to the now-illustrious Nat Sherman tobacco shop, an iconic landmark in the heart of New York City. 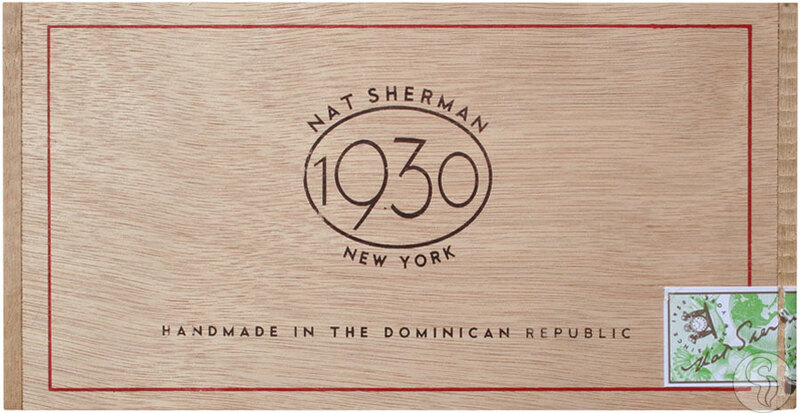 In honor of the company's inception in 1930, Nat Sherman has released the 1930 Collection, a line that pays homage to the company's origins, while embracing the modern-day cigar smoker. Blended at the MATASA factory in Santiago, Dominican Republic by master blender Manuel Quesada of the renowned Quesada family, it is clear that Nat Sherman is dedicated to creating a quality smoking experience. Comprised of Nicaraguan and Dominican fillers and binder, and a beautiful Dominican wrapper, the Nat Sherman 1930 is loaded with rich, complex flavors of oak, foreign spice, and zesty tobacco. This could very well be Nat Sherman's most intense cigar to date.